Editor’s note: This is the second in a series by guest blogger Kelly Bradley, an integrative licensed physical therapist, certified health coach and nutritional consultant and certified chef. I hope you enjoyed your breakfast challenge. Now that spring is here, it’s time for some easy ideas for lunch and dinner. Two ways to get loads more nourishing veggies into your family’s diet are seasonal, mouth-savoring soups and salads. Often, the biggest food challenge with kids is just getting them to try something unfamiliar. Remember, it can take 10 to 12 introductions of a new food before a child (or adult) decides to try it. So, don’t give up! Most importantly, make trying new recipes fun for the whole family. Enjoy your creations together by sitting down for a meal and sharing news from your day. Your challenge this month is to experiment with various soup, salad and dressing recipes for lunches and dinners. Soups and salads can be the main course as long as they have all the balanced nutrients, but you might want to introduce new recipes as side dishes. Look through some recipe books with your children and see which soups, salads and salad dressings look enticing to them. Have the kids make the grocery list, shop with you for the ingredients and then prepare the foods with you. Also, take them to an outdoor market to meet the farmers who grow and harvest all the seasonal produce that nourishes our bodies. After you try a few soups, salads and dressings, challenge your kids to come up with their own, unique recipes. Let them use ingredients they like, give them room to be creative and see how it turns out. Here are some recipes to get you started. * The key to making super nutrient-dense soups is to start with real stock. Whenever you use real chicken, veggie or beef stock in a recipe you will be kicking up the nutrient profile in a big way—so do it. Some good sources for soup stock are Wise Choice Market and 100 Bowls of Soup—where you can order online for home delivery—and MOM’s Organic Market. Directions: Heal oil in a 6-quart pot over medium heat. Add the onions and sauté until soft, about 7 minutes. Then add the remaining ingredients, bring to a boil, cover and simmer over low heat for about 30 minutes. 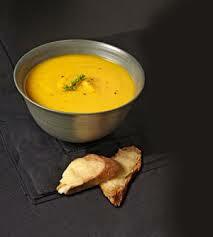 Use an immersion blender to puree the soup in the pot, or transfer in batches to a blender and puree. Top each bowl of soup with sautéed shiitake mushrooms and chopped cilantro. Directions: Place onion, leek, carrots, celery, green beans and dried thyme into the pot with the broth. Bring to a boil, then turn heat to low, cover and simmer for 15 to 20 minutes or until vegetables are tender. Add cooked chicken meat, kale and parsley and simmer for about 5 minutes more. Season with sea salt and black pepper. Serve this dressing over crunchy romaine with sliced almonds and avocado or over a salad of baby kale with leftover salmon. Directions: Blend all ingredients in a blender until smooth. Refrigerate in a covered glass jar until ready to serve. 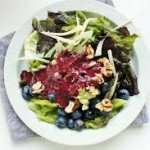 This dressing is delicious over a cabbage slaw. Directions: Blend all ingredients in a blender until smooth. Store dressing in a covered glass jar for up to a week in the refrigerator. Use formulas to create many more recipes. It’s easy to assemble new recipes by using a formula that allows you to mix and match ingredients according to your family’s tastes and what you happen to have on hand. Plus, making dinner from a formula is a fun, practical application of those math skills you want your kids to practice over the summer. For each soup, choose one or more ingredients from the categories listed below. Here are two ways to make salad prep easier: (1) Mix a bunch of salad ingredients all in one big bowl. 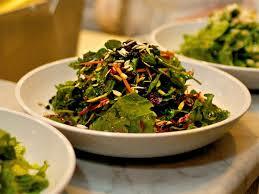 Then, each day start with some of this “salad of the week” and add other delicious foods for variety. (2) Prep individual ingredients in small bowls or in a container with dividers. Choose your ingredients for each day’s salad. 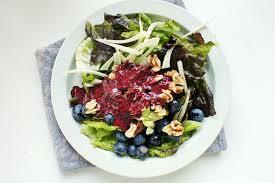 Dressings provide an awesome way not only to make a salad flavorful but also to kick up its nutrient profile. Each week, make a new dressing, or two or three. They will keep in the fridge at least three to five days. You can store them in mason jars or other glass containers. Have fun experimenting and creating soups, salads and dressings. Remember, the most important part is to share and enjoy your meals together with the whole family. Tell us how this challenge goes for you! Add your comments and questions here, or email me directly at kelly@bradleywellness.com. *Recipes are adapted from The Whole Life Nutrition Cookbook, by Tom Malterre and Alissa Segersten.